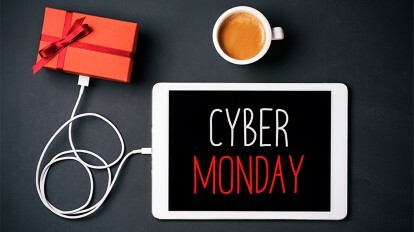 Shoppers in UK are to carry on spending into Cyber Monday following a week of Back Friday sales! We are forecast to spend more than £7bn across the back Friday and the online shopping day. Millions of us will spend time at work hunting online on Monday to see what deals are available, even if you don't need to buy you will be sure to have a browse. Sadly this is further bad news for the struggling high street. Black Friday and Cyber Monday have automatically become a staple fixture of the calendar year and a very important one for many retailers and they need to get it right. I've picked a few of my favourites to share with you all and they cover a bit of everything. Every household usually has a Oral-B electric toothbrush so it's worth buying in bulk to save you money in the longer term. If you have kinds you will know how expensive lego is and us parents go a little crazy when the discount is 25% or more. DVD's are very popular as presents for any occasions and there are various ones on discount for what ever the age. I have been wanting one of these for a while purely for convenience when you have a toddler. Didn't think it was needed before until I tried a similar one at my friends. It's so much easier getting this cordless out than plugging in the normal hoover for the odd crumbs the little one makes. I have left the best to last and this deal is only running for a limited time only. You can get a years subscription to TVPlayer which means you can catch up on the latest shows on MTV to my absolute favourite Keeping Up With The Kardashians on E! You can stream from 19 channels not available on Freeview plus 61 other channels through Fire TV. You better hurry as this deal ends on 5th December. This is just for fun over the festive period for the family to take a few silly snaps to look back on in years to come! You can get these personalised and choice of Facebook, Instagram or your own personalised one. They come in various sizes so you can play around with the options available.